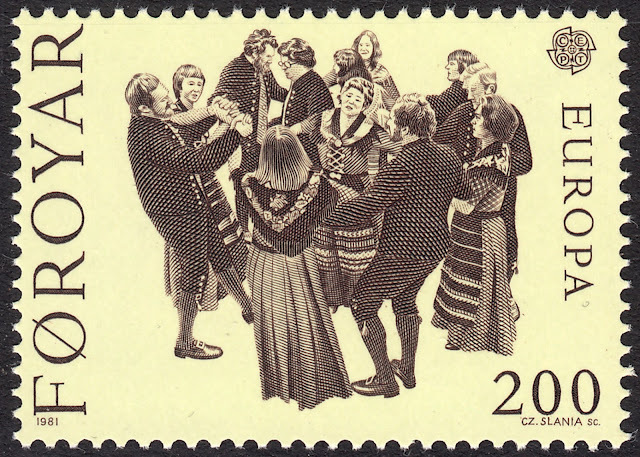 If one were to join a Faroese party, they may have the fortune of taking part in the traditional Faroese Circle Dance, which is accompanied by lively Faroese ballads, called kvæði. As the name suggests, this dance is performed in an a kind of swirling circle. This type of dancing is reminiscent to the medieval Ring Dance. In the Faroe Islands there are three variations of the dance. The first is the Stígingarstev - The Common Dance (I have seen this referred to as the Garter Dance). The second variation is called the Trokingarstev - The Crowding Dance. For this variant more fast-paced music is played. The final variation is called the Bandadansur - The Ribbon Dance. In this variant the dancers incorporate ribbons into the performance by dancing around and under them. 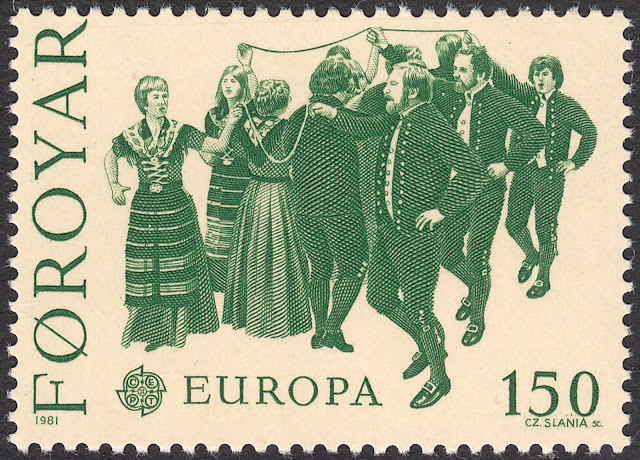 On 1 June 1981 Faroe Islands issued a set of two stamps celebrating traditional folk dancing. Czeslaw Slania was entrusted with engravings for this issue, and as usual his work was exceptional. 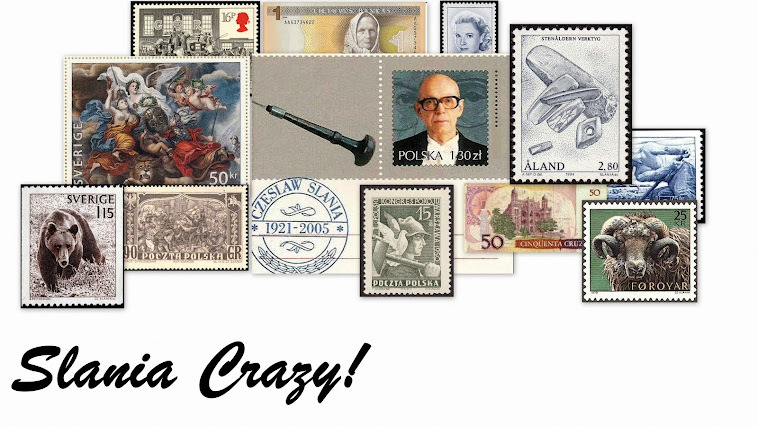 Each of the two stamps depict a variant of the Circle Dance. The 150o stamp beautifully captures the beauty of the Bandadansur - The Ribbon Dance. The 200o stamp depicts the Stígingarstev - The Common Dance. This stamp is listed in catalogues as depicting the Garter Dance, which I can only assume is another name for the Common Dance. Either that, or I am entirely wrong and the Garter Dance is a fourth variant of the Circle Dance. Maybe someone out there has the answer?